Morongo Golf Club, Legends Course Hole 1: This par four is not long, and is slightly downhill. However, shaping a shot right of the large bunker but left of the junk to the right is key to a good start to the round. Morongo Golf Club, Legends Course Hole 4: This short par 3 places the golfer on one side of a deep canyon with the goal of hitting the shallow, and severely sloped green on the other side. Shot distance is everything as short (in the canyon) or long (in the bunkers with a green running away from you) spells disaster. Morongo Golf Club, Legends Course Hole 5: This great par four winds its way down a canyon and doglegs to the right to the green. At 500+ yards from the tips, it is a challenge, but the downhill nature of the hole will make long drives quite possible. The drive is best placed down the right side, which will shorten the hole as long as it doesn’t go too far right on the hill or behind some trees. The bunkers surrounding the green are also not inviting so a nice up and down from the front edge is not a bad plan. Morongo Golf Club, Legends Course Hole 7 (right): The best hole on the course is another extremely long par four. This one is a dogleg left that requires the golfer to put their drive in the center. Anything too far right will leave a very long approach over an enormous bunker, but the ball that goes too far left will have to contend with a pesky tree. The green is well guarded and strongly sloped. Morongo Golf Club, Legends Course Hole 8 (below): This slightly uphill par three features a lake short of the green and a series of bunkers to the left that should be avoided as well. Morongo Golf Club, Legends Course Hole 18: The final hole of the day feels a little out of place on this otherwise natural feeling course. However, it is a strong challenge and after a drive that must not go left of the fairway, the approach is to a green sandwiched between water short / right and bunkers and hillside long and left. 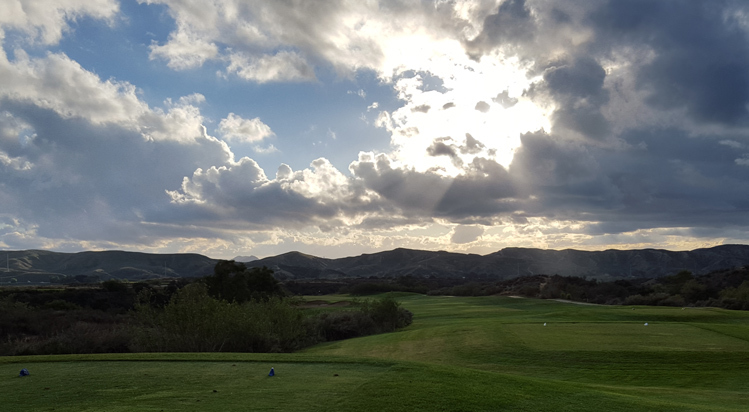 See More California Golf Course Reviews.